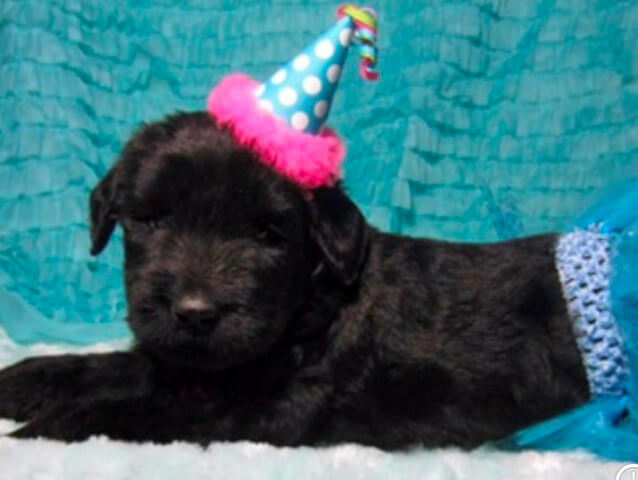 As you read on the HOME page, we are a group of friends and family and all adults other than Giant Schnauzers live in homes of my friends and family so the puppies can be raised in family homes, well loved and with potty training started. We all come together to sale our different breeds on this family website. 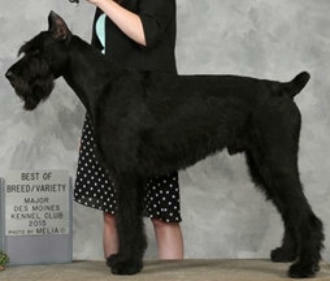 I, Tina only have Giant Schnauzer adults at my home and that is the breed I personally work on. No other adults of any other breed live with me. You can see Prices Below in RED. 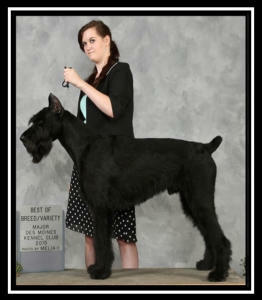 I do have a website that is dedicated to only my Giant Schnauzers and not the other breeds that are owned by others. 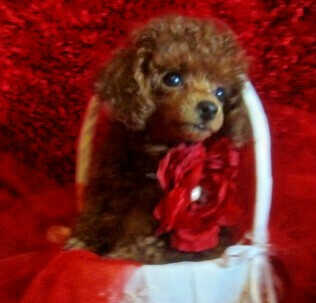 Please email or text me for that link if you prefer to see only my dogs and puppies on my personal website. My giant pups come from some of the best working and show lines you can find. 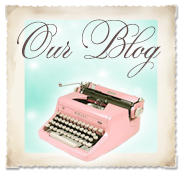 We’ve worked hard to insure that when we breed we will meet and exceed our expectations. 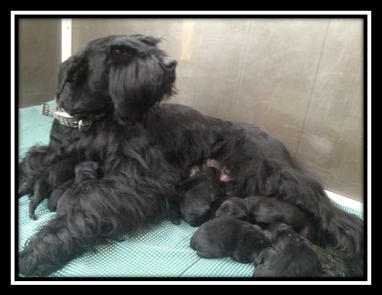 We breed for quality, not quantity, so we only have a handful of litters a year of these gorgeous deep rich black Giant Schnauzer puppies. Moms and dads are TRUE Giants as to the breed standard and are champion quality dogs and puppies are BEAUTIFUL!!! Moms are around 70 to 90 pounds and dads are around 100 to 120 pounds. 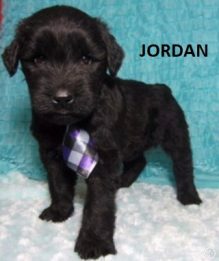 All our Giant Schnauzer puppies come with AKC papers, shots up to date, vet checked, tail/dew claws done, ear crop (optional), potty training started, super dog military training started from 3 days of age, and spoiled rotten… We work hard to socialize every puppy and get him/her used to every environment and different people. All our Giants get testing done around 2 years of age. Some of the things we test for are: Von Willebrand’s Disease, thyroid, ofa cerf eyes, and ofa hips. If a dog does not pass all health tests they are given out as a pet to our family and friends. Testing parents is not a 100% guarantee your pup won’t have an issue the parents are cleared of, but it does dramatically lower the chances of anything developing in your pup. 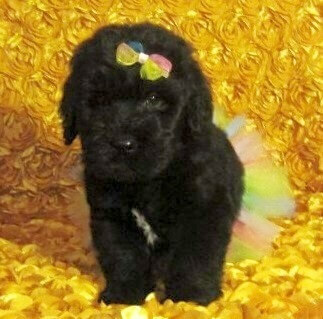 PLEASE only buy a pup from a Giant Schnauzer breeder that does ALL testing, not just one or two things! Just because a breeder has been breeding for 40 years or is well known in the show ring as having many champions does not make them the best breeder! 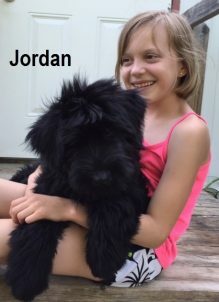 If this breeder is not doing ALL of the breed health testing on every one of their breeding adults “Von Willebrand’s Disease, thyroid, eyes, and hips, they are not breeding for health and you are taking a risk getting a pup that will not have a long life span and could have a horrible painful life with joint issues. We are a member of the National Search Dog Alliance and donate puppies to qualified search and rescue groups, and law enforcement at no charge. 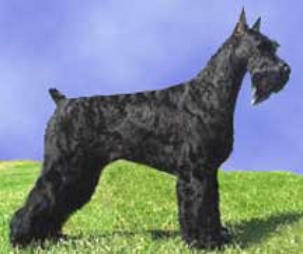 The Schnauzer name derived from the German word “Schnauze,” which means “muzzle.” The Giant Schnauzer is called the “Riesenschnauzer” in Germany, which means “the giant.” The Giant Schnauzer was used as a cattle driving dog in Bavaria, and as a guard dog by the police and military and excels at Schutzhund. This breed has a loyal protective nature. They are wonderful for someone that wants a dog that trains as easily as a German Shepherd but does not shed like shepherds do. Do we crop ears if buyer requests it? Yes: We will get the ears done if buyer wants it done. We prefer you get it done yourself for the reasons stated below, but we can have it done by our vet before your puppy leaves if you want that. Payment in full is due before ears get cropped on pups that are going to be shipped! If your Schnauzer’s ears get cropped either by our vet or your own, I will be happy to show you how to post the ears yourself. It takes about 5 to 10 minutes to post ears once you have everything set up to do so. If we get the ears cropped by our vet for you it costs $400. I only crop the ears on puppies that the new owner has asked us to do it on. Please keep in mind if you get a puppy that is over 8 weeks of age you can still get the ears cropped on your own by your local vet that offers that procedure. Most vets will do it up to 14 weeks of age. At our home we like to get the ears done at 6 to 8 weeks of age so pups can go to their new homes asap, but will do it up to 14 weeks of age if you pick a puppy that is that age and ears are still croppable. The puppy will be ready to go to his/her new home about 7 to 10 days later when the stitches have been removed. If you decide to have your local vet crop the ears call them and ask up to what age they will crop it at. As long as ears are still croppable my vet will do it up until a puppy is 14 weeks old, although for best results and shorter posting time, between 6-12 weeks is best. There are many different types of cropping on a Schnauzer’s ears and our vet looks at each puppy individually and decides which cropping would be the best for that puppy. If you want a specific cropping style you will need to send us pictures of it to give to the vet, but in the end our vet will cut the way he wants to, and that is out of our hands. If you want extra tall ears, or wider ears, you may have alot of taping and posting work in your future if the ear structure of your puppy is not meant to support that type of ear. Please keep in mind if we get the ears cropped you are obligated to stick with your chosen puppy even if you do not like the ear cropping cut. The ear cropping is an elective cosmetic procedure and is not covered under our guarantee, so if pup dies on the surgical table we will not replace the puppy. If ears end up not to your liking, or if you feel our vet did not crop them well, or even straight and even, we do not replace or refund. So if you are super stressed over getting the “perfect ear” find your own vet to do it on your own after you have your puppy. This is one of the reasons why I suggest you just get your pup with natural ears and take it to your local vet to get the ears done yourself. When a pup’s ears are cut by our vet shipping your puppy may be more expensive since your puppy will be a bigger dog by the time it can be shipped. 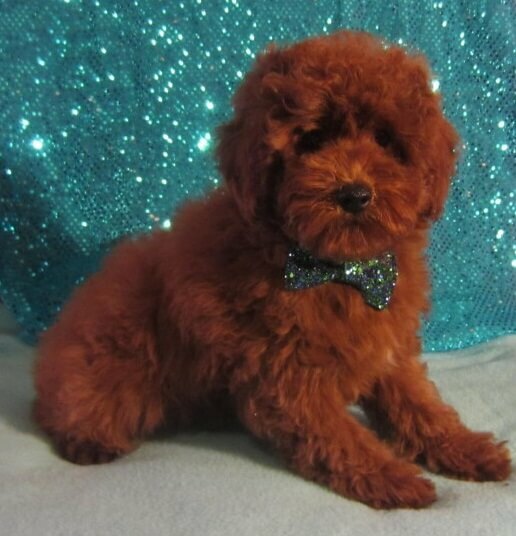 Most shipping prices are $425 but if a pup is older or bigger it can cost a little more so contact us for a quote on shipping if pup is 10 weeks or older. If your pup comes with ears already cropped the ears may still be healing when you receive your puppy so take care of the ears like you would any wound until all flesh has healed completely. 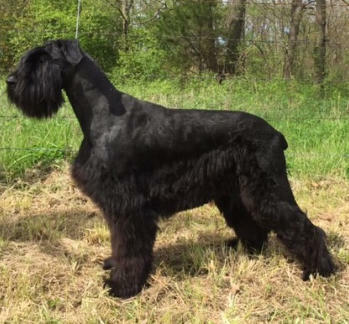 Please also keep in mind the ears on a Giant Schnauzer with cropped ears needs to be taped on and off for a while to get the perfect erect ear. I will gladly talk you through taping up your pet’s ears so you will not have to have a vet do it. It is a very simple procedure. If you are local you can set up an appointment for me to post your pup’s ears for you for free, and also show you how to do it on your own… I also have a link to a how to video on taping the ears on the grooming page. All puppies that (WE) crop ears for that are to be shipped must be paid for in full before cropping is done. As always if you are picking your pup up in person everything you owe after the deposit you can finish paying at pick up time in CASH. I personally prefer the natural look as seen in the pic on the left below. I feel there is just nothing cuter than a 80-100+ pound dog running through the yard and having those big floppy ears flying….. Located in the Garden City, Mo area and shipping is available if needed. Tail and dewclaws will be removed at 3 days of age. 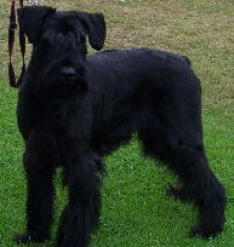 If you want a Schnauzer with a long tail you must contact us before that time. 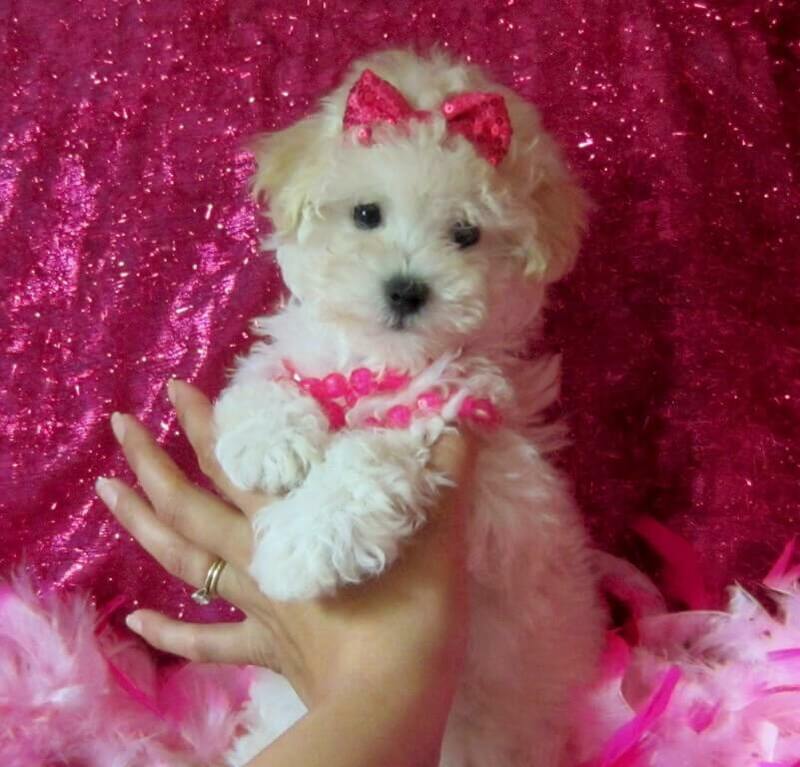 We can also take your payment early for a future puppy if you want one with a long tail in an upcoming litter. All shots and worming will be up to date when you receive your giant. We stand behind our Giants 100% and guarantee them against any life threatening genetic disorders provided you feed and exercise them properly. 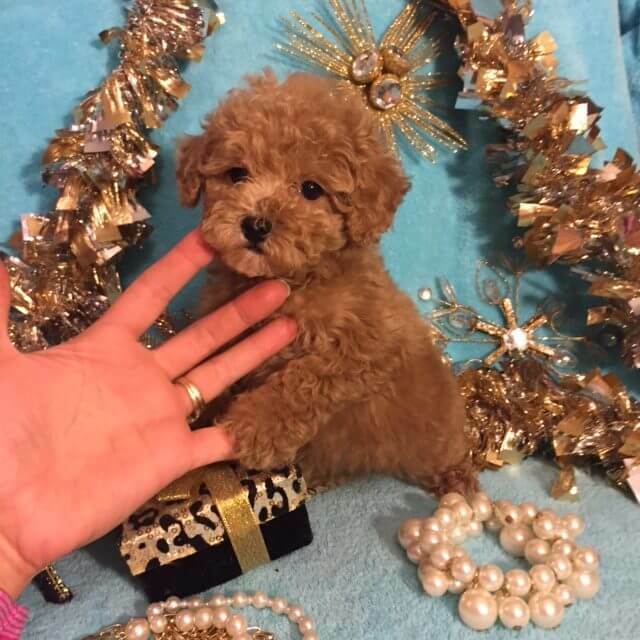 For a puppy less than a year of age we have a very nice health guarantee against any life threatening genetic defects not known at time of sale for the first year of life. We can ship your pup, so please e- mail us for shipping availability and pricing. 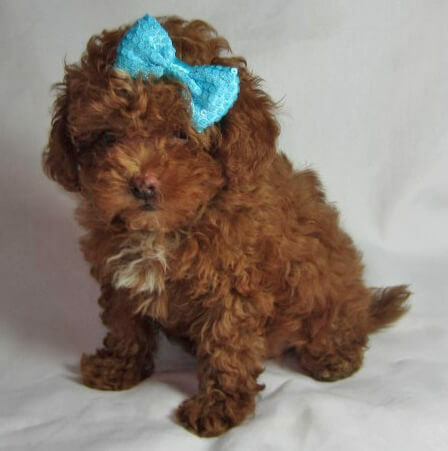 Shipping rates depend on how big your pup is and if it is going to the US or Canada… Usually for a 8 to 10 week old puppy it is $425 to ship within the US, and rates can change so ask us for a shipping quote. 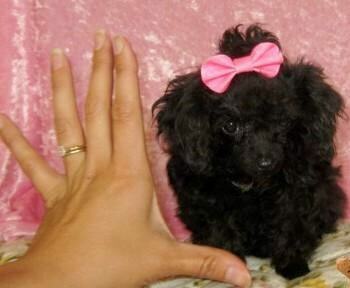 If your puppy is bigger it may be a few more dollars… So again, call for price of shipping on individual puppies. 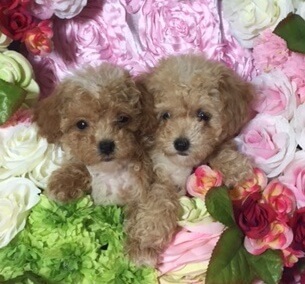 You will get a very nice discount on shipping if you buy two puppies and want them shipped together. You can always email or call me for more info on shipping. These puppies are our babies & friends! We spoil them with much love and attention, as we are true animal lovers. The “puppies live on our 90+ acre family farm raised with 5 children and farm pets. They each get individual attention and socializing required to start them off as stable and confident pups. We have just recently changed our policy on allowing full/open AKC registration papers as the “norm” for all pups to providing limited AKC registration papers, UNLESS prior arrangements are made. We hope to encourage responsible breeding by implementing this new policy. 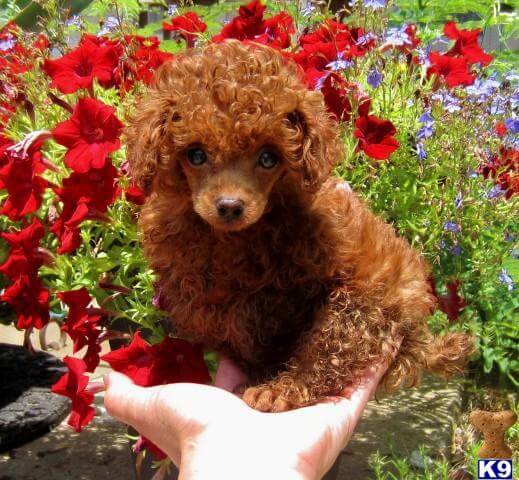 Breeding healthy, happy puppies is not easy…just ask ANY reputable breeders! I am not against providing full registry papers but need to speak to the buyer and find out their true intentions before I decide on giving full papers to them. I have hundreds of ads out from many years of breeding so if you run across one that states full AKC please remember we provide limited registration now unless we agree to do otherwise after speaking to the buyer. I do not promote breeding them for the sake of breeding, and do advice, after reaching full growth, to get them spayed or neutered for their own health. 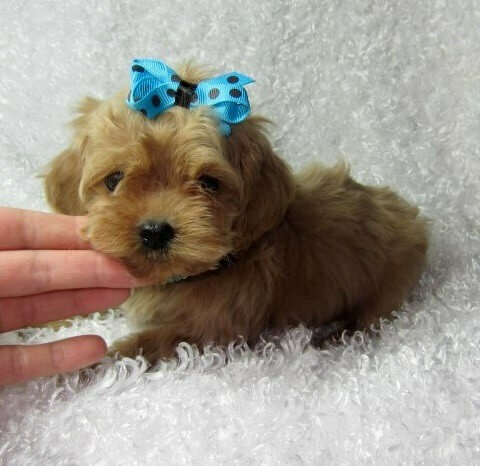 I have full trust in the new owner to make the proper choices for their pet and would not sell a puppy to a buyer if I did not. My opinion is however that you are setting your dog up for future health risks if you do not get them spayed / neutered. There is a much higher risk of cancers in both sexes and uterine infection in females that are not fixed. Please do what is best for your pet’s health and get them fixed around 8 months to 1.5 yrs of age. If you get a dog from us for breeding we will be happy to guide you through the process. If you decide to breed your dog you have purchased and would like full breeding rights please call us to discuss. If your puppy was not a top quality puppy breeding rights might still be available if it is good enough quality as an adult, so call to discuss if you are wanting them. 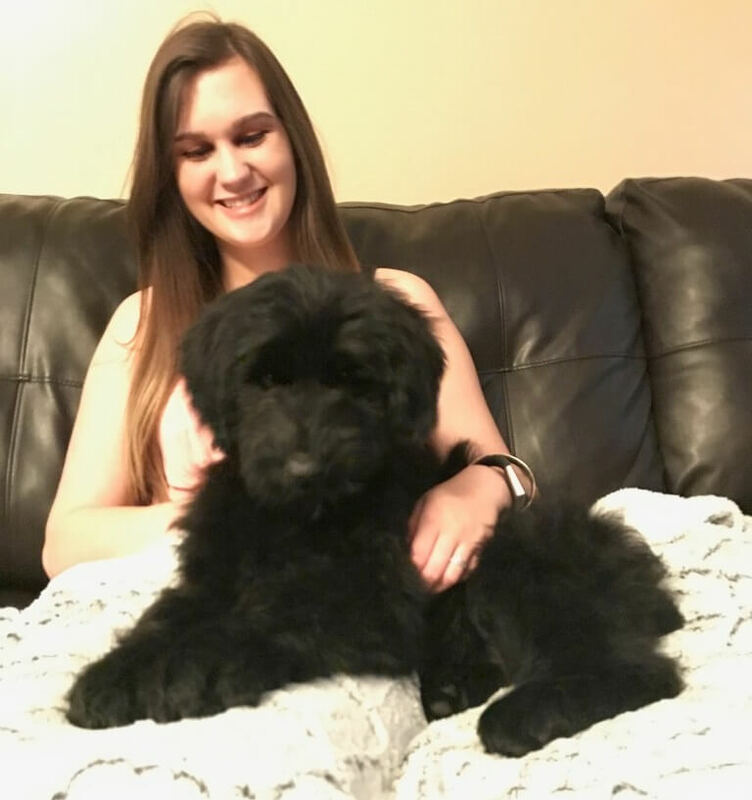 We hope the new puppy owner that wants to “breed” their giant chooses to do all the breed health testing just as we have done to better the lines of this breed, but we do not require it. Our Giants are beautiful loyal gentle giants. 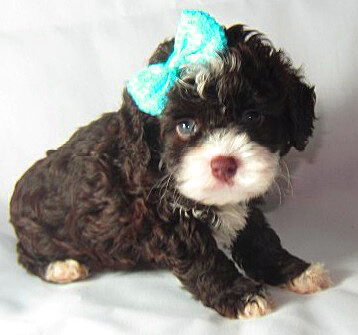 I am always available 24/7 before and after you receive your puppy to answer any questions you may have. From time to time we will donate a puppy “at cost=$500” to families needing a medical service dog. If you have a disability that requires a large medical service dog, and your doctor agrees and writes you a script for one, you can ask if we are taking applications for that. We also donate for even less and sometimes totally free to non for profit organizations such as SEARCH AND RESCUE, MILITARY, POLICE, ETC… If you are interested in our dogs as WORKING DOGS, not medical service dogs, contact me to discuss. 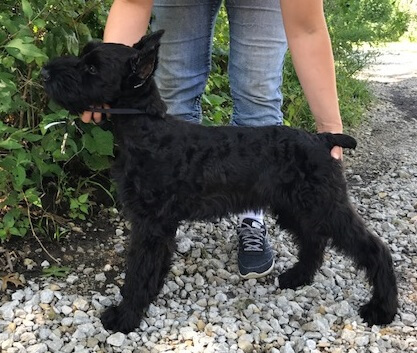 The price of our pups is less expensive than you will find anywhere for a Giant Schnauzer puppy of this quality, with health tested parentage, and AKC Champion parentage. We have had many of our puppies have great success in conformation as well as agility and obedience trials. Many of our past puppies have made wonderful service and therapy dogs as well. We are not rich and so know how hard it is to find an exceptional pet at a price that wont kill your budget, that is one of the main reasons why we try to keep our prices low. We also like to keep our prices low for those who need a large medical service dog. Some of our puppies even get donated to A Non For Profit Canine Assistance Program to help those in need of a large service dog. 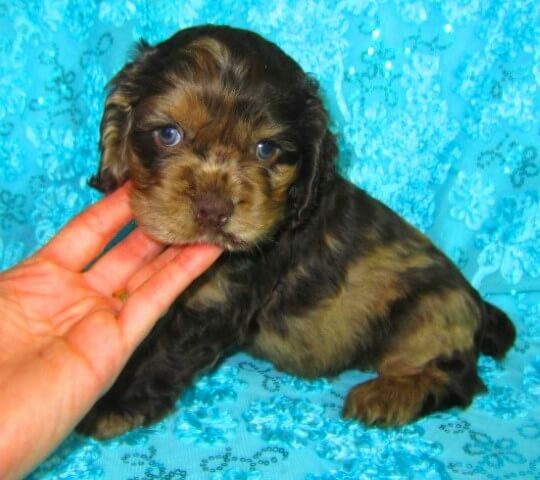 We also will greatly discount the price on older puppies to homes that are in need of a service dog. 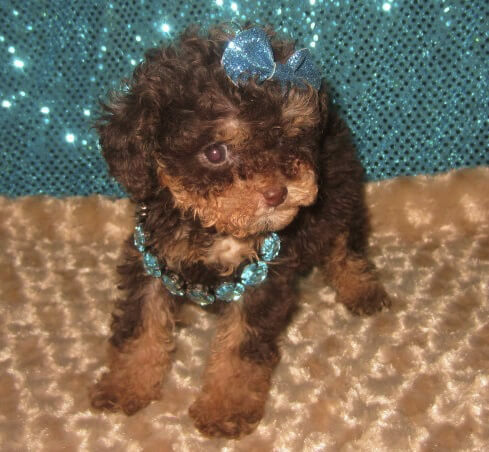 PRICING: PUPS ARE GRADED AND PRICED AT 5 to 6 WEEKS OF AGE. 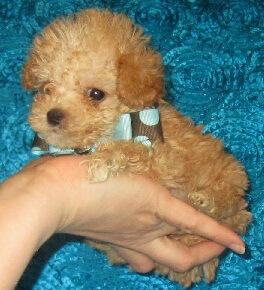 PET QUALITY WITH KNOWN “MAJOR” FAULT or DISCOUNTED OLDER PUP: is $1800-$2500 UNCROPPED, ADD $400 IF EAR CROPPING WANTED. 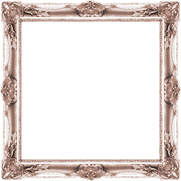 PET QUALITY: MOST PUPPIES FALL IN THIS CATEGORY: Might have small unnoticeable fault but in most cases not. $2500 to $2900 UNCROPPED, ADD $400 IF EAR CROPPING WANTED. 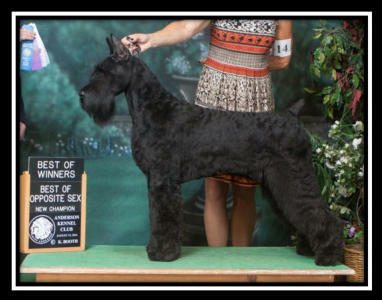 TOP QUALITY: No “Major” Faults seen, $3000, UNCROPPED, Pups sold limited AKC unless otherwise agreed. 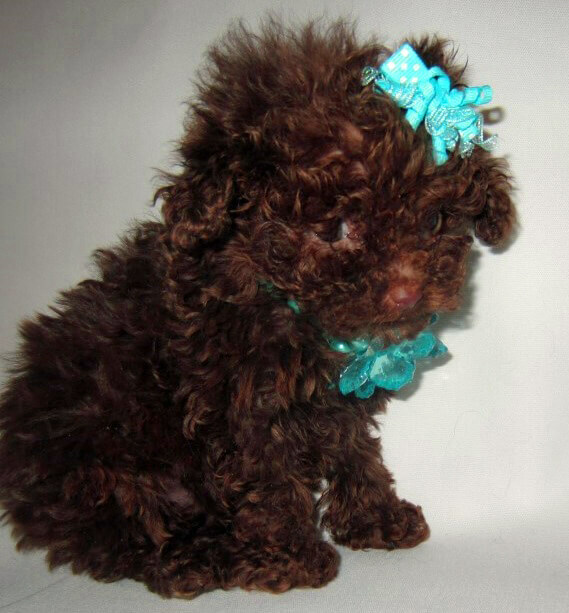 Yes a $3000 pup can go with full papers at breeder’s discretion. 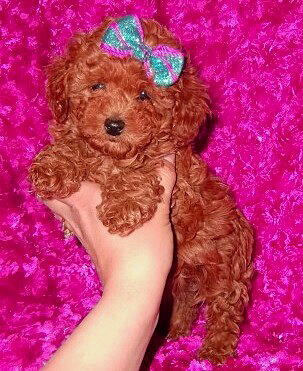 (If both parents are Champions all pups in litter will be $3000 to $3500 and the cost is $3500 if wanting Full AKC.) ADD $400 IF EAR CROPPING WANTED. Prices in a litter: All pups in a litter can be on higher end or lower end or anything in between. 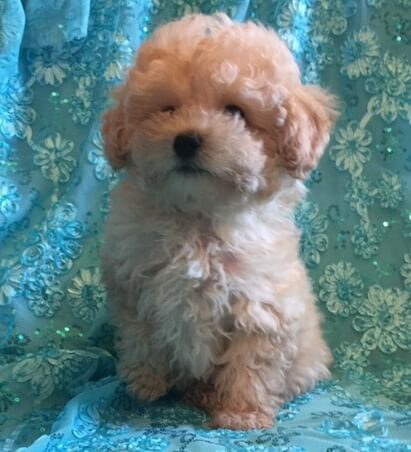 We will know individual prices at 5 to 6 weeks of age when we grade each puppy and take individual pics of each puppy and microchip each puppy. 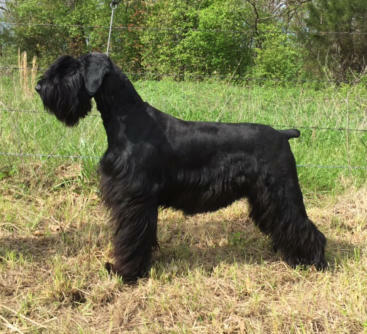 Our Giant Schnauzers are generally $2500 to $3000 from most our breeding pairs, but can be less on occasion, read below. Pricing depends on Quality of pup. All puppies come with limited AKC papers. 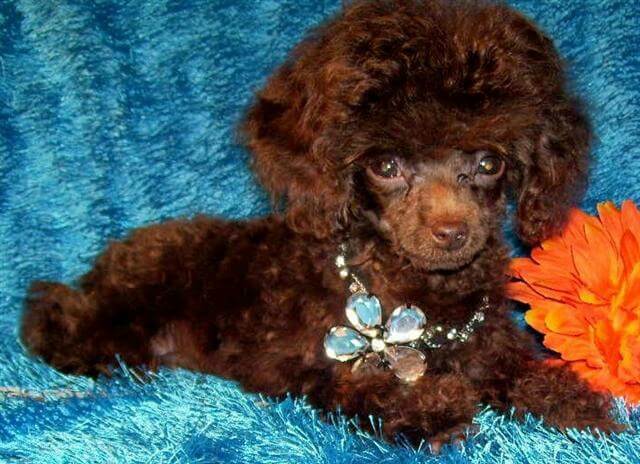 Full AKC papers such as for breeding purposes maybe available on a pup at breeder’s discretion. 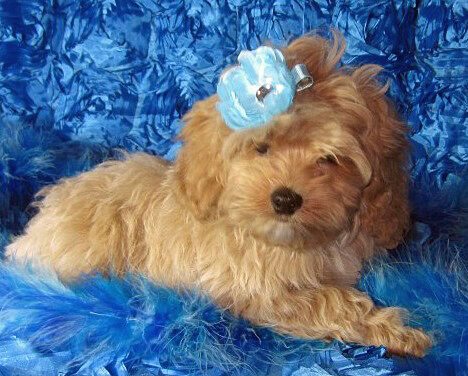 PET QUALITY WITH A FAULT OR DISCOUNTED OLDER PUPPY: Pet pup with a known major fault may be priced at the lower end. A pup with a major fault issue is very rare. 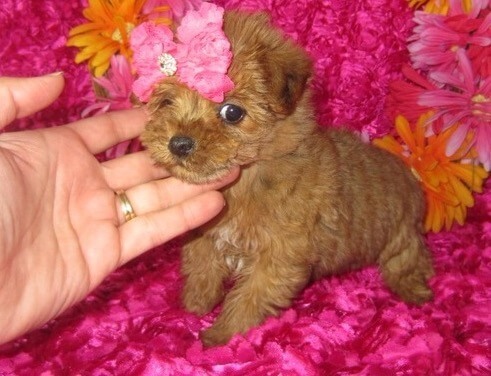 A better quality pup can also be priced lower if it is discounted because of being older and still available. 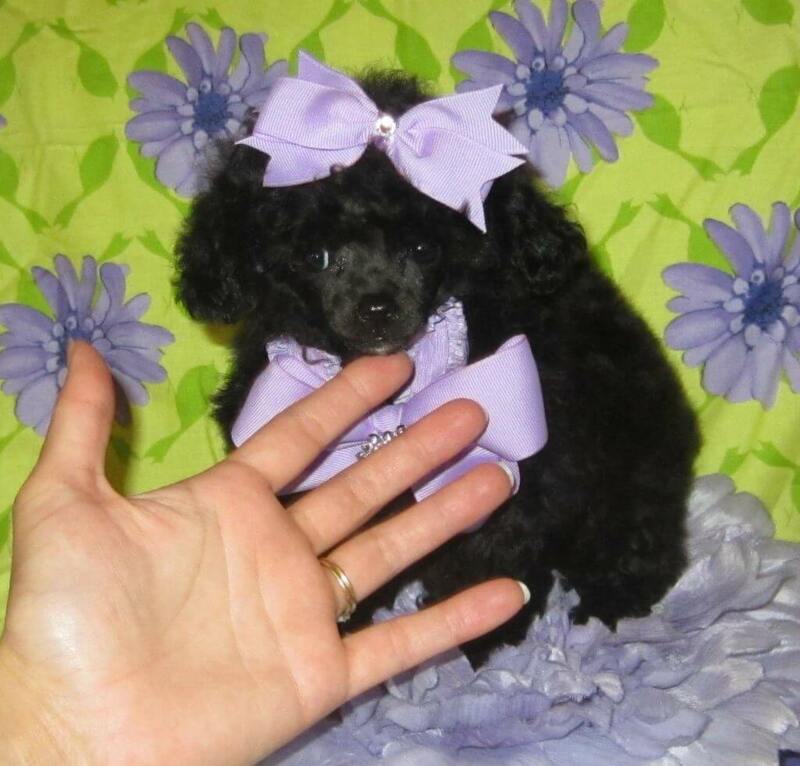 PET QUALITY: Good quality pet, male or female: We sell all puppies with limited AKC papers. So if you want FULL AKC for conformation showing or breeding you will need to call to discuss and puppy might be more expensive than a pet price. Pet quality may have small imperfections but Pet Quality is still a wonderful giant and few people can differentiate these pups from the champions and most likely these can also be shown and place well in conformation if they had full AKC papers. 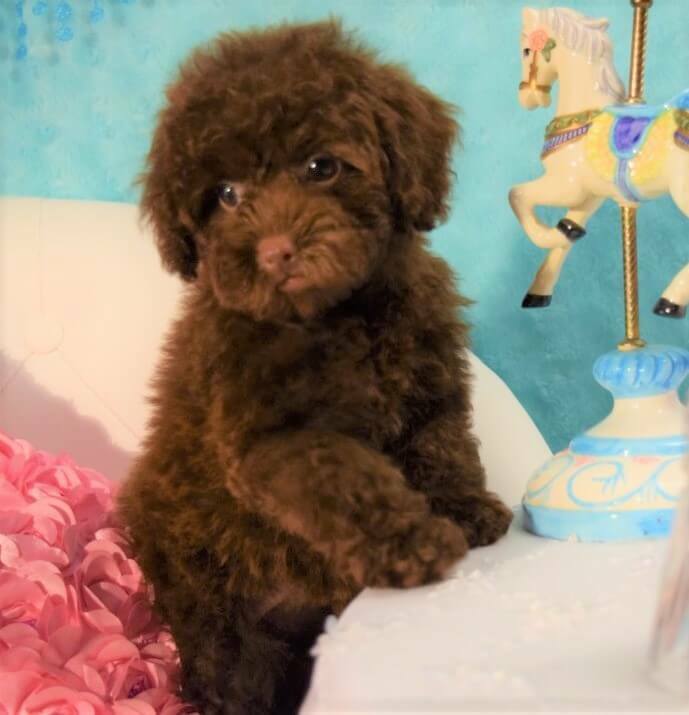 If you’d like to show this pup in conformation or breed call us to discuss if a change in limited to full registration is possible for the puppy. Top Quality puppy: Top quality pups, or the pups we feel are extra special are reserved for people who want to own the very best. A pup in this category is the best of the best and the top pups in the litter. 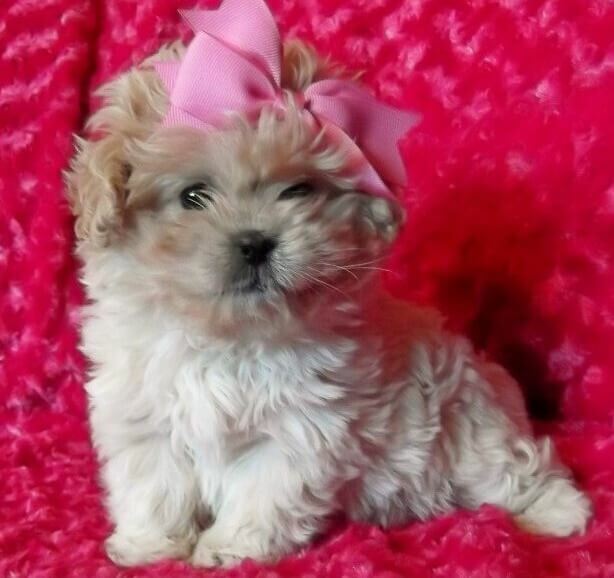 The top quality pups also come with limited AKC until approval for full papers has been given by breeder. You can pay for breeding rights at any time, so many like to wait until pup is an adult, but pup will need to be of good enough quality for us to approve full rights. 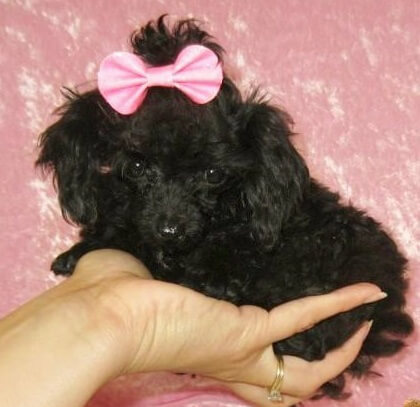 A pup with Full AKC is $3000 or more, so if you want full papers on your dog you will need to pay the difference and this does not include $400 if ear crop is wanted or shipping fee. 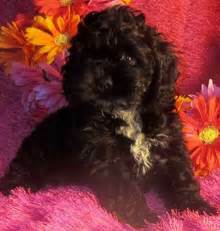 All registration limitations are at discretion of breeder. 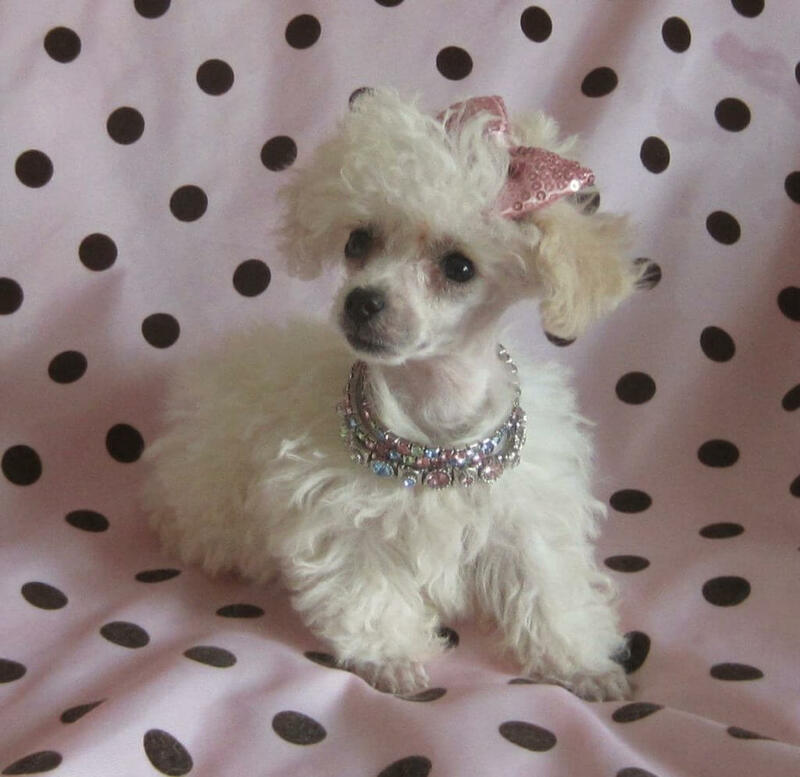 I do not sell breeding dogs to puppy mills! So if you have a bunch of breeding dogs please don’t waste my time asking. Small hobby breeders and those just wanting to show their pet in conformation are approved easily. 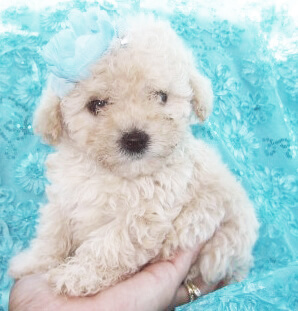 Differences in Quality of pups: A good pet quality and a Top quality are very close and the everyday person would not be able to see the difference. We just see something extra in a top quality pup. Maybe a nice size, head, structure, movement etc… Having a tiny bit of white on the chest does not mean a pup is not top quality. There have been many champions with some white on the chest. Most of our pups have no white on them but if this is something that you definitely do not want you need to say it at time of deposit and put it on your Note section of your Purchase puppy form. Most Giants just as all black dogs will have more than just black within their coat. The primary color is black but what you feed your dog, where they live, stress, grooming, natural elements, and sun exposure all contribute to how deep the black is on your pup and the texture and quality of the coat. 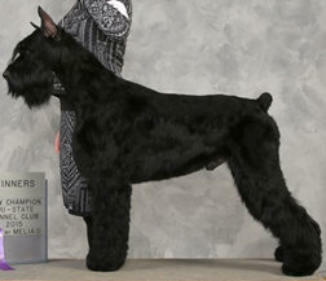 White hairs sprinkled throughout the coat are normal for a black Schnauzer to have. If you are showing in conformation a good handler knows the tricks to make a coat deeper black if needed. There are also recipes online that include molasses to get the natural black come back in your giants coat if it has the redish brown undercoat coming in that is known in this breed. Stripping and carding also help the black stay blacker. It also gets rid of a lot of those pesky white hairs you might see pop up here and there. 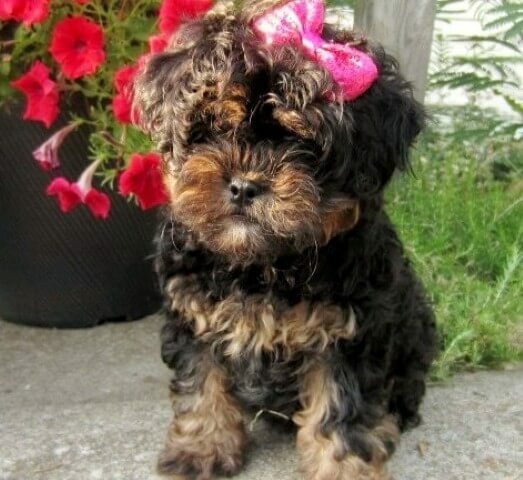 SIZE: We can not and will not guarantee size because on occasion even large parents can have a litter of pups that end up on the lower end of the breed standard. Also, you can not compare sizes of different lines since some lines start off as large puppies and other lines start off with smaller pups but in the end 99% catch up to be within the breed standard with very few exceptions to the rule. A runt may never catch up. All Our parent dogs are great quality and most are on the larger size of the breed standard. For full Guarantee please ready the GUARANTEE / PAYMENT page of our website. We do not guarantee any puppy to be breed-able because it is not possible to know breed-ability on a young puppy. 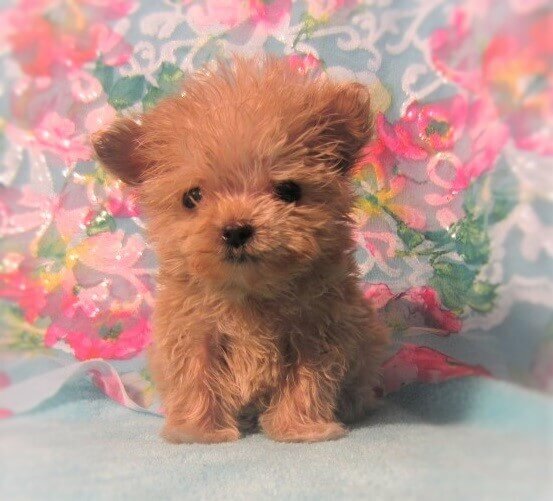 We do not guarantee show quality or champion quality do to too many factors beyond our control once a puppy has left our home as well as a puppy cannot be considered champion quality at 8 weeks of age. 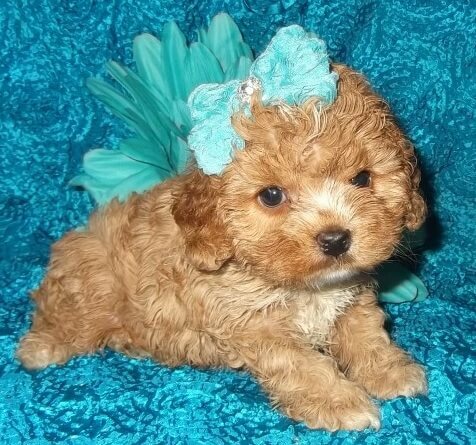 Any breeder that says they have a 8 week old puppy that is a definite champion is lying to make the sell. In our opinion the Top Quality pups are the best possible champion quality pups of the litter. Most breeders that guarantee show quality are guaranteeing the exact same thing we guarantee below. 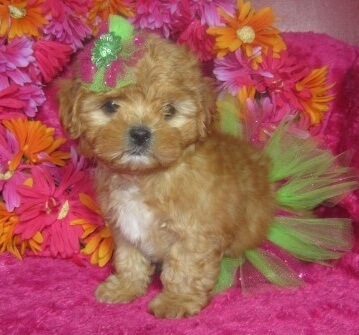 Which is “at time of sale” the pup has no noticeable major faults that would prevent it from being shown. 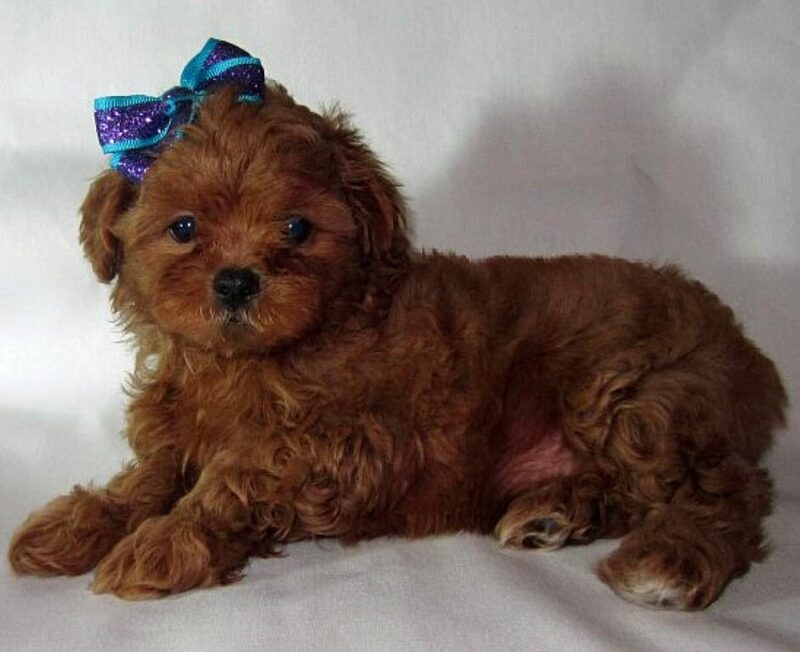 Our Guarantee on our top quality pups is the same as any other pup. Have it checked out within 3 business days by your local vet. If anything wrong with your pup you can return pup for an exchange or refund, (which is up to breeder). 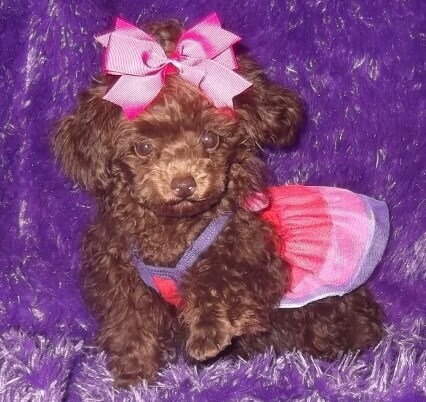 Pup must be at our home within 72 hrs of vet noticing defect and all registry and shot record papers must be returned as well for buyer to receive a replacement pup. If puppy is not returned within 72 hrs it is assumed that buyer has forfeited this guarantee and no replacement will be given at a later date. If a major conformation fault is found at a later date that is not life threatening it is not covered. Just FYI All show dogs have small faults, just like there are no truly perfect humans, how you play the game is mastering the art of hiding the small faults of your dog and hoping they are not as noticeable as the faults of the dog standing next to him in the show ring. This is an imperfect world and there is not a PERFECT dog just nice dogs that have really experienced handlers and groomers. More puppies than just the top quality puppies may be of show quality, and we do not guarantee a top quality pup will place in conformation trials because I have no control over your ear cropping, ear posting, grooming, training, etc… You may prefer agility and obedience over conformation, and you are welcome to get your new pup into whatever you choose to do, or just keep him/her as a cherished family pet and or service dog. I do show some of my adults in conformation from time to time. All my pups are AKC Championed Sire. My first Giants I owned were medical service dogs and trained therapy dogs and with puppies and having 5 children at home of my own that pretty much makes a full schedule for us as owners and handlers, even so you can still see me on occasion at a conformation show if I am working one of my adults. Almost all our puppies are sold before being ready to go home. We do this by taking deposits and it’s on a first come first serve basis. Deposits are great because it ensures you’ll be getting the dog you want and it allows me to hold that dog for you. Before sending your deposit please get in touch with us first. We want to make sure a giant will be a good fit for you and we’ll also fill you in on current availability and upcoming litters… Keep in mind this pet will be very large and so will need ongoing training. For example: You do not want a 80 to 100 pound dog with issues like chewing, unless you do not care for your furniture and shoes. All puppies chew somewhat, but can easily be trained to only chew on their toys. Make sure before sending a deposit your sure you want a giant because we’re only looking for forever homes. If you ever have to re-home your giant we ask that it comes back to us and will pay for shipping if needed. The deposit does go towards the purchase price of your Giant. Deposits are non refundable unless we don’t have enough pups to go around do to unforeseen reasons. With that deposit we’ll be holding a dog for you and passing up others who’d like to purchase that pup. When someone backs out of a pup we use the deposit money towards food and boarding expenses while we look for a new home. If you pay in full instead of putting a deposit down and back out we will refund your full purchase price minus the deposit amount. All our adults are well trained in obedience and my first personal Schnauzers were trained medical service dogs, (PSD). They are all exceptional in intelligence, personality, and over all sound in structure, very healthy and have beautiful coat quality for the breed. Please check out our other pages to see grooming feeding, and general care instructions. Calypso, pictured here with pups. She is more pet and service dog type working lines. Very nice looking large girl, with thick curly soft coat. One kennel in her lines is El Lobo. She has tested and passed testing for: thyroid normal, Von Willebrand’s Disease clear, CERF eyes OFA certified normal… Is OFA certified on hips fair. She is 95 lbs and 27” tall. Soft American Coat. Stormy, Please ignore the mommy boobies in this pic, she was nursing 5 wk old pups when I took it. Nice pedigrees on these sisters. Working lines close up, and when you see Champions they are top ones such as CH Gloris Arizona Bill as a g-grandfather. Some kennels in their pedigree are Gloris, HiStyle, Azzuma, Keystone… 14 Ch in their 4 gen pedigree. Tested and passed testing for: thyroid normal, Von Willebrand’s Disease clear, CERF eyes OFA certified normal, Hips ofa certified excellent. She is about 70 to 75 lbs and 26” tall. Soft American Coat. Pepper, Nice pedigrees on these sisters. Working lines close up, and when you see Champions they are top ones such as CH Gloris Arizona Bill as a g-grandfather. Some kennels in their pedigree are Gloris, HiStyle, Azzuma, Keystone… 14 Ch in their 4 gen pedigree. Tested and passed testing for: thyroid normal, Von Willebrand’s Disease clear, CERF eyes OFA certified normal, Hips ofa certified goodl. She is about 80 lbs and 26” tall. Soft American Coat. 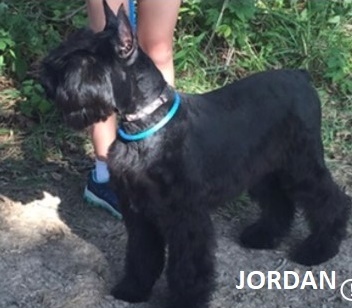 Ch Jordans’ Captain Black Beard Barbosa at 4yrs old. To the left is our stud Barbosa aka: Champion Jordans’ Captain Black Beard Barbosa. 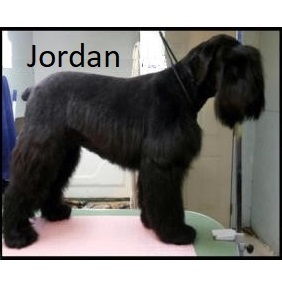 He is 100+ pounds, 29″ tall at the shoulder, and is a hard, (German), coat Giant Schnauzer. 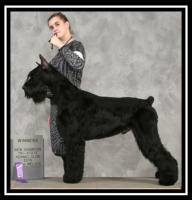 He is quite large for a Giant Schnauzer. He is a wonderful alert boy and is not as laid back as the girls. He is more active and follows my kids into the woods on hunting trips. His stature and muscular build is what we try to breed for. He is a strong guy and if you come meet him please don’t bring any pet chickens… He likes to chaise and eat them… LOL… Update, as of 1-1-16 Barbosa now lives at my mother in laws house as her protection farm dog. We will still be using him occasionally for stud services as needed. He is 110% healthy and strong. He has tested and passed testing for: thyroid normal, Von Willebrand’s Disease clear, CERF eyes OFA certified normal… Is OFA certified on hips good. Hard German Coat. 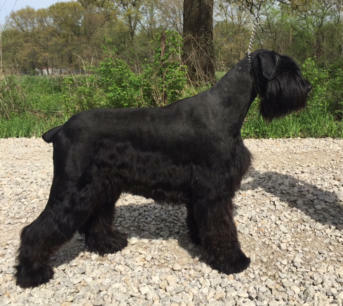 Breed Health Testing is something I feel very strongly about on the Giant Schnauzer. All my personal adults are health tested. This is a rare breed and so you will see more issues pop up in the lines than you will see in breeds with more diverse backgrounds. Just because the parents pass testing does not guarantee a pup wont have an issue but it does drastically reduce the chance of it. If no breeders do the health testing then eventually the solid blacks will go the same way the salt and peppers have gone and end up having horrible genetics on hips or something else. I suggest only buying from a breeder that does all the health testing and then asking to see the certified results of the testing. If you get full rights from me for breeding I hope you choose to also do the best thing to “better” the breed and only breed health tested good quality dogs. 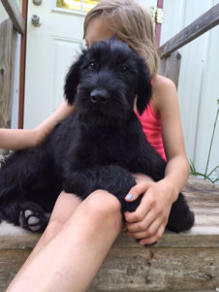 A Past Giant Schnauzer Pup at 6 months old, JADE, Natural ears.